British consuls, working in a succession of leased consulates, have served the large British community in Oporto for several centuries. In 1957, an elderly English lady, the fourth generation of her family to live and work in Oporto, Miss Evelyn Teage, died in Oporto and bequeathed to the English State all the property that she owned in Portugal. 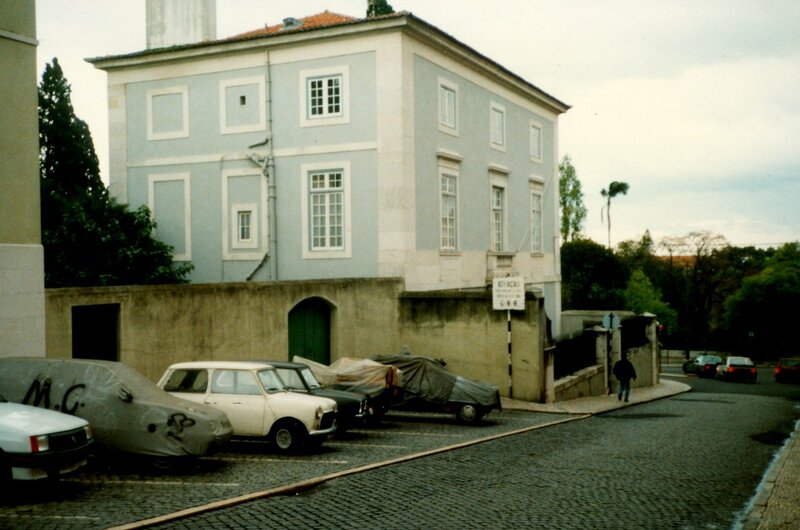 This mainly comprised her fine home, Quinta da Fonte da Moura at 3072 Avenida Boavista, which she wished to serve as the permanent residence of the senior British diplomatic or consular representative in Oporto, and to be maintained by a trust fund to be set up from the proceeds of sale of some of her other property. 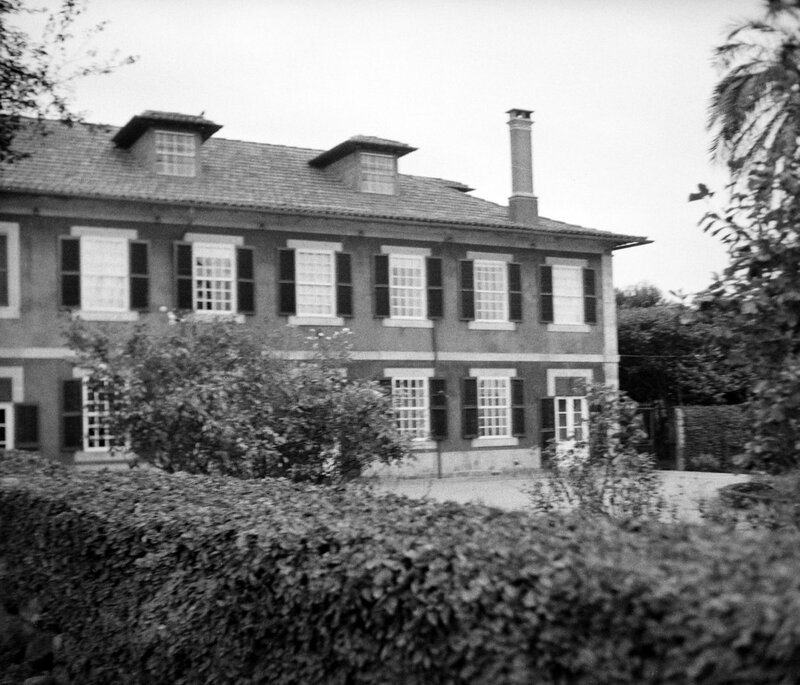 The Ministry of Works was always wary of gifts, which had a habit of causing unnecessary trouble, but was persuaded to take the mansion into its ownership in 1961. 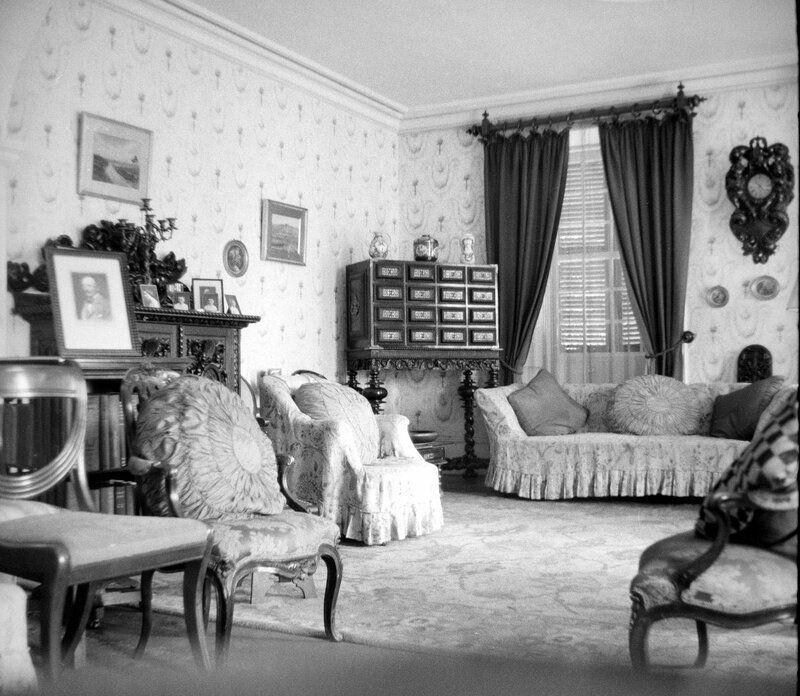 The bequeathed property arrangement worked excellently for over forty years. It was a comfortable house to live in, an admirable one to entertain in, and the sale of some of the grounds enabled the trust to keep the property in good repair, and to assist towards the construction/conversion of some outbuildings to consulate offices. 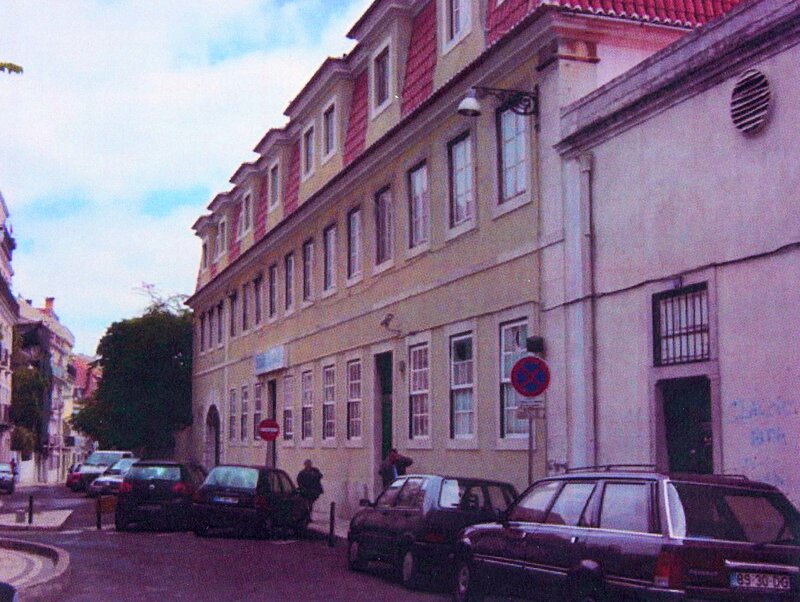 In 2004, however, the FCO decided to close the Oporto consulate and rely on an honorary consul instead. It believed that, in these circumstances, it had the right to sell the house and it was prepared to funnel a good proportion of the proceeds back to the British community in Oporto. As soon as Miss Teage’s three nieces heard of this decision, however, the family commenced legal action in Portugal to have the property, which was then valued at between 4 and 7 million euros, revert to them. The case proceeded slowly through the Portuguese courts until, in early 2008, the Judge convened a preliminary audience at which to ask the parties to conciliate, which they were unable to do. The case was, nevertheless, settled out of court a few months later. That enabled the FCO to sell the property [? when and how much]. 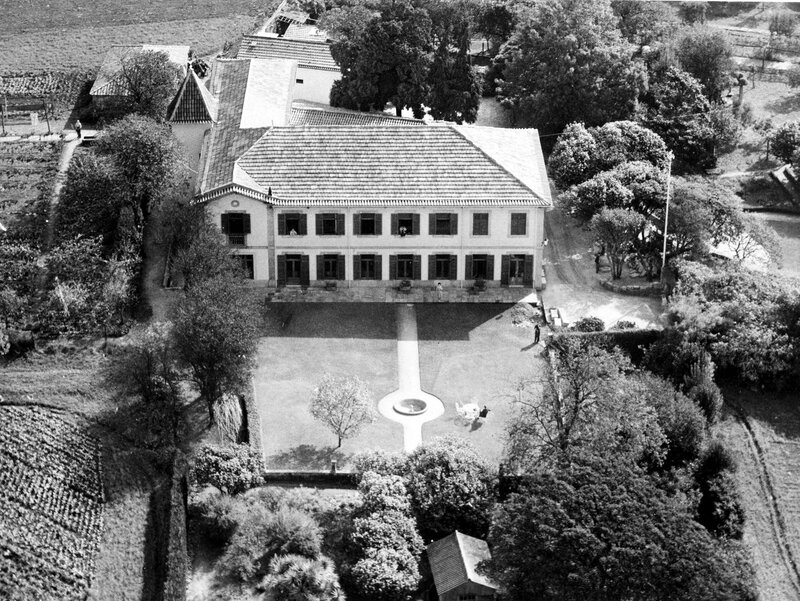 Aerial view of garden front, 1964. 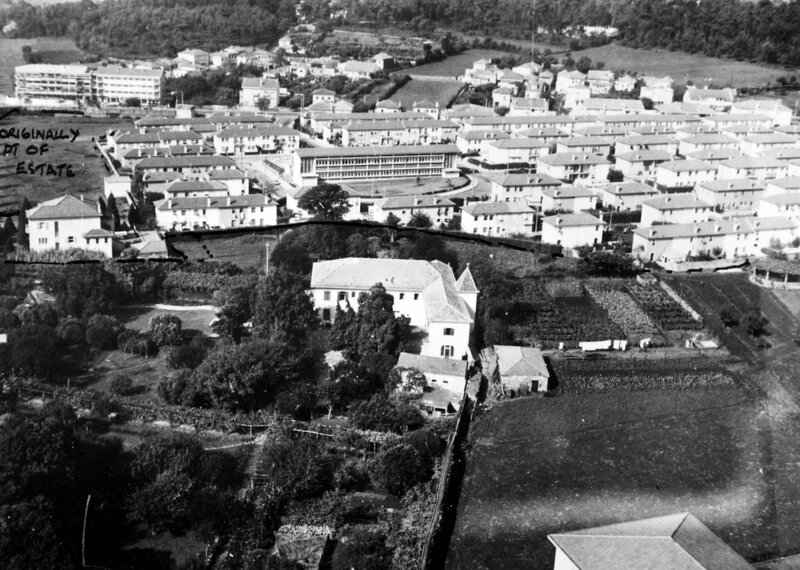 Aerial view of the rear of the house, including consulate outbuilding, and encroaching residential,development, 1974. Part of garden elevation, 1958. There is a number of cities in the world where, for historical reasons, the British government holds the title to pieces of land on behalf of other institutions – especially the sites of some Anglican churches or cemeteries in Catholic countries. Lisbon probably has the largest and most complex of such sites. The 1.75 hectare Estrela site is now bounded on the west by the Rua da Estrela, on the north by the Rua Saraiva de Carvalho, on the south by the Rua de Sao Jorge and on the east by Portuguese-owned properties. The British Cemetery accounts for most of the area: it was acquired, partly with the Dutch, in four stages between 1717 and 1810. Two Protestant St. George’s Churches were built successively in the northern part of the cemetery in 1822 and 1889. 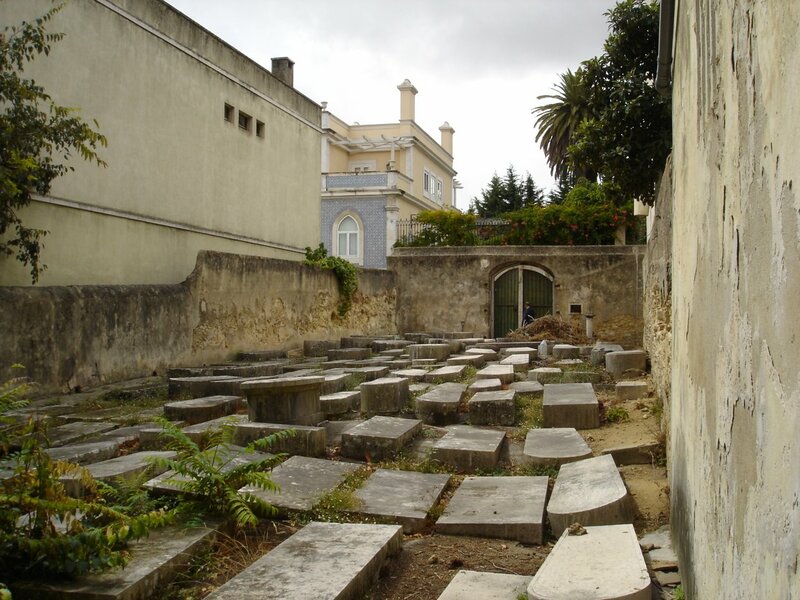 The balance of the area, comprising about 0.35 hectare, is a strip of varying width that runs along the west side of the cemetery, fronting mostly Rua da Estrela. It was acquired in parcels between 1765 and 1854. 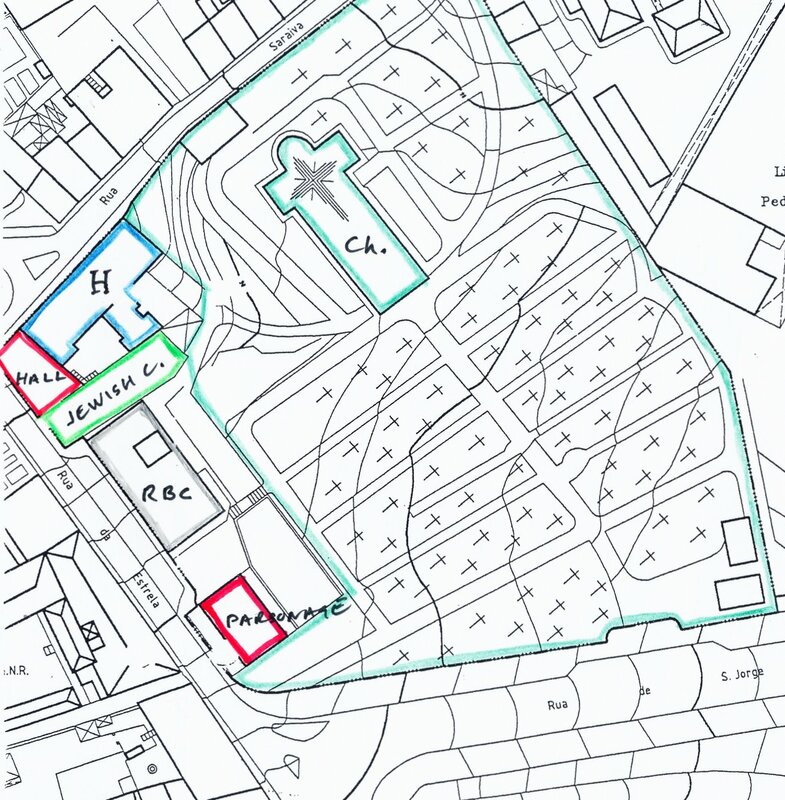 The whole Estrela site was legally registered in the name of the British government in 1944 to strengthen the hand of the various bodies involved with the site in opposing expropriation of parts of the cemetery for major road schemes. The British Historical Society of Portugal published in 2005 a learned and fascinating treatise, commissioned by the FCO from Dr Robert Howes of King’s College London, under the title The British Cemetery in Lisbon: A History of the Estrela Site, from the 17th century to the 1950s. Plan of the Estrela site, 2005. Part of the British cemetery, 2005. The British Hospital, with Estrela Hall on the right, 2005. 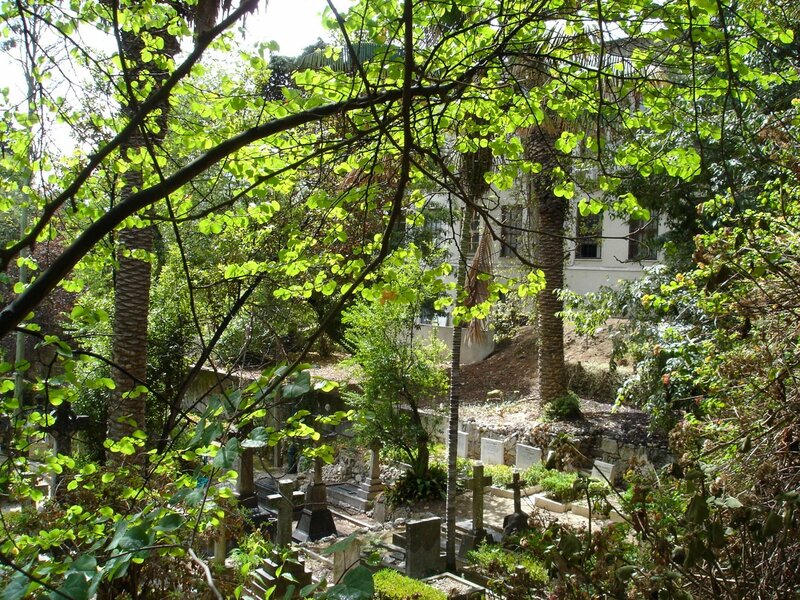 The Jewish cemetery, with Royal British Club on the left, 2005.